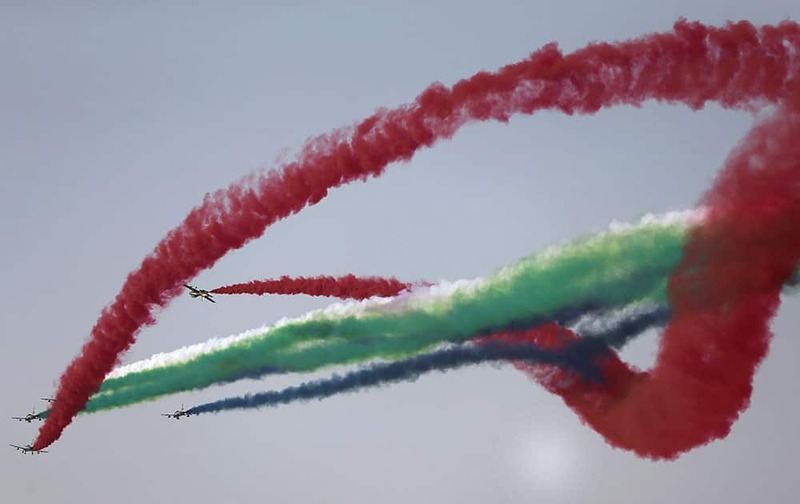 Al Fursan, the UAE Air Force aerobatic display team, perform during the opening of the Dubai Airshow in United Arab Emirates. 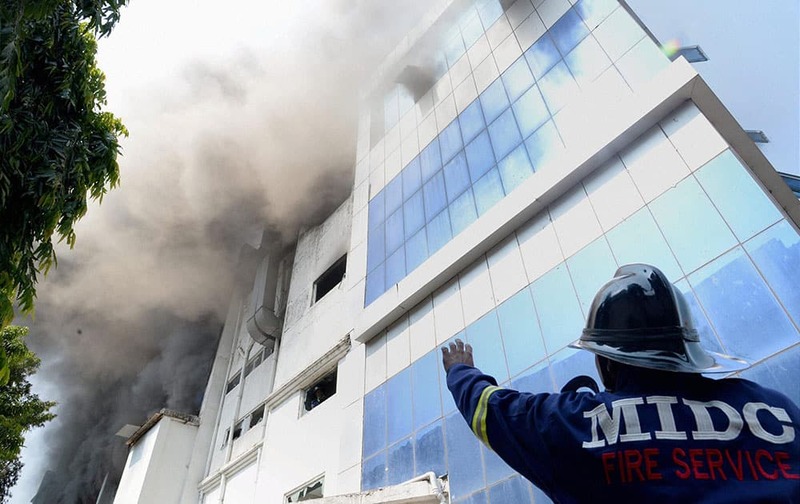 Smoke billowing out after a fire at a chemical factory in Navi Mumbai. 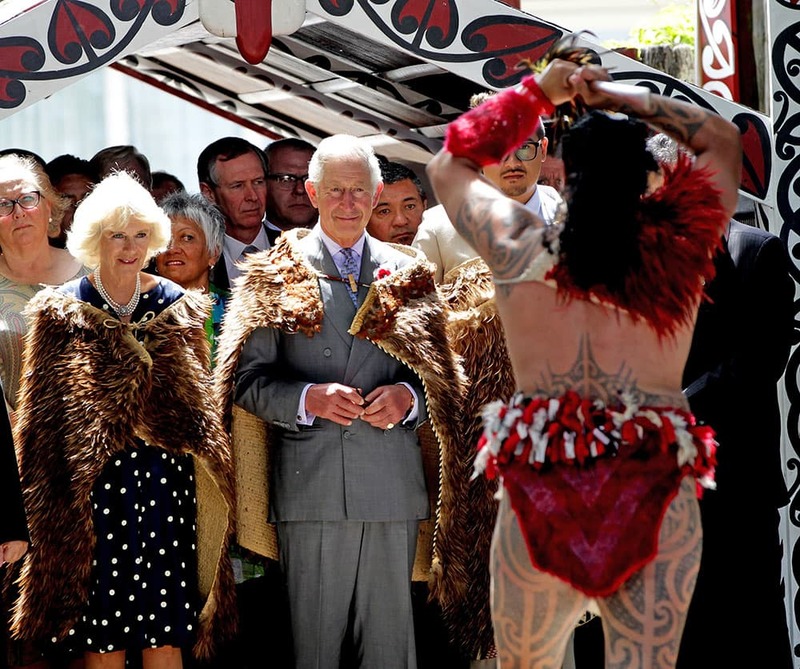 Prince Charles, Prince of Wales and Camilla, Duchess of Cornwall receive a "Powhiri" Maori challege on their arrival at Turangawaewae Marae, Hamilton, New Zealand. 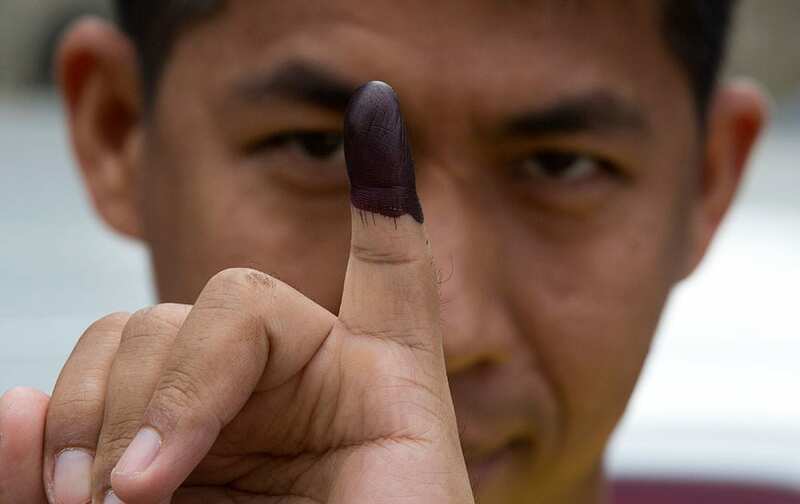 One of ten doves is released after the funeral service for Jennifer Vasquez at Springs Church in Colorado Springs, Colo.
A man shows his finger marked with ink indicating he had voted in Yangon, Myanmar. 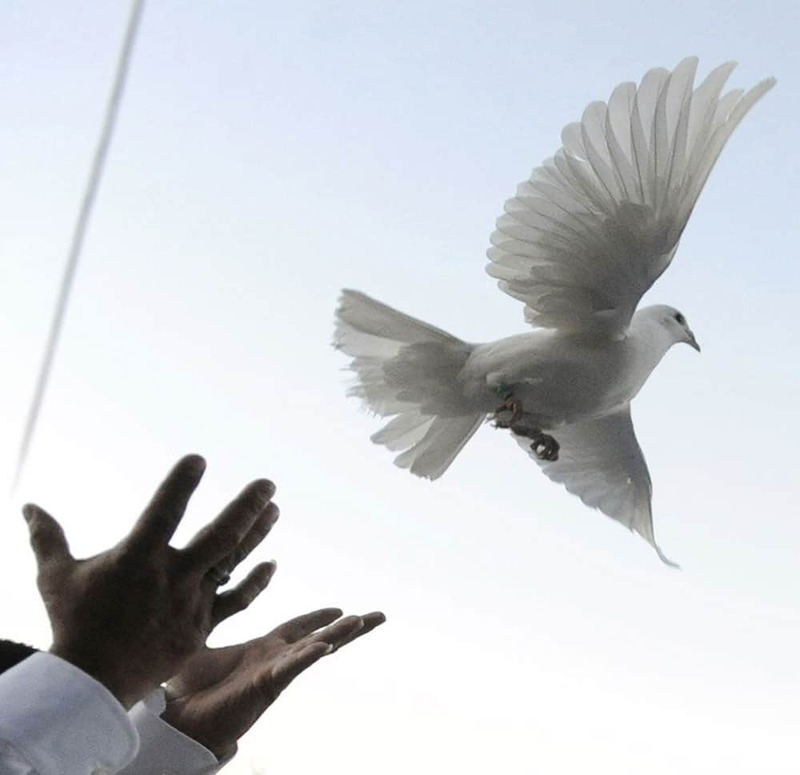 A general view of atmosphere at the Voltage Pictures Ten Year Anniversary Party at the American Film Market (AFM) held at Wokano in Santa Monica, Calif.
Kate, the Duchess of Cambridge arrives at the Royal Albert Hall for the Annual Festival of Remembrance, in London, England. 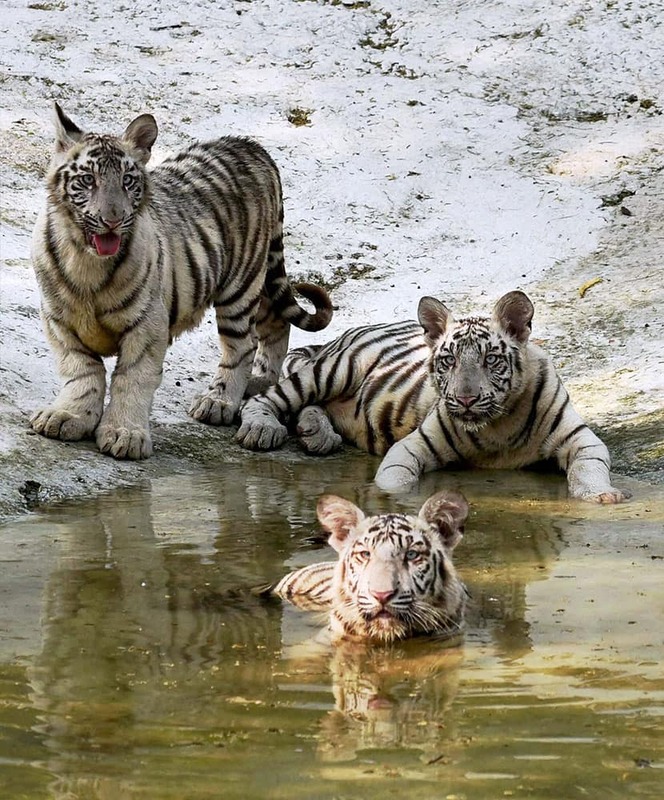 White Tiger cubs at National Zoological Park in New Delhi. 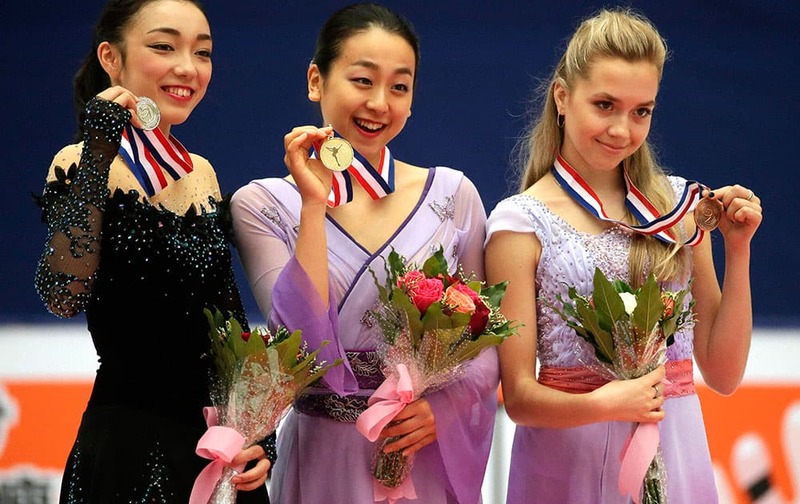 Silver medalist Rika Hongo of Japan, left, gold medalist Mao Asada of Japan, center, and bronze medalist Elena Radionova of Russia. 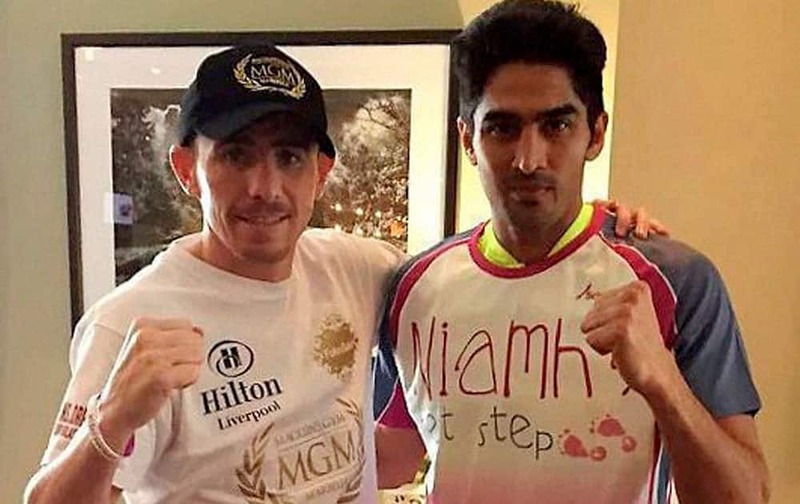 Boxer Vijender Singh in his hotel ahead of his second professional bout in Dublin. 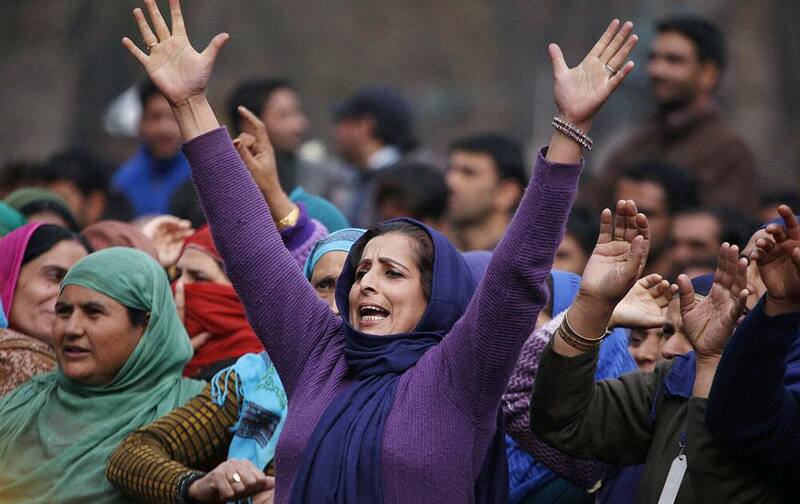 Kashmiri women shouting slogans as they listen to Prime Minister Narendra Modis speech at a rally at Sher-e-Kashmir Cricket Stadium in Srinagar. Sri Lankas Kusal Perera celebrates after scoring fifty runs during their third one day international cricket match against West Indies in Pallekele. 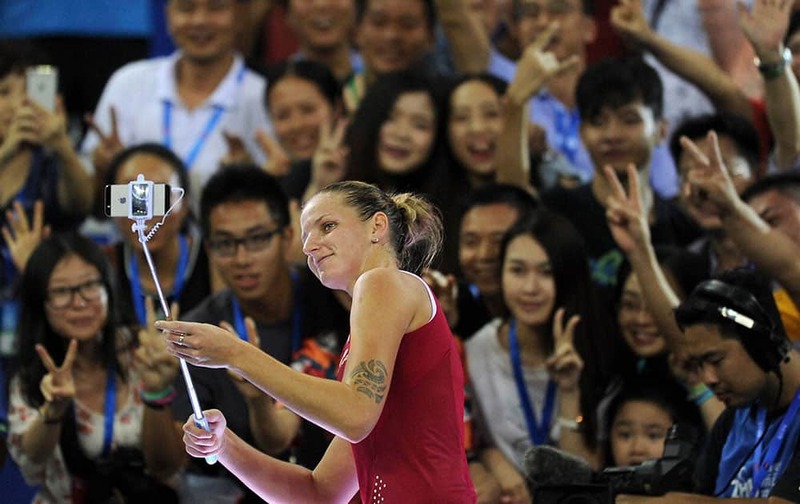 Karolina Pliskova of Czech Republic takes a selfie with spectators after defeating Elina Svitolina of Ukraine during a semi-final match for the 2015 WTA Elite Trophy tennis tournament in Zhuhai in southern Chinas Guangdong province.